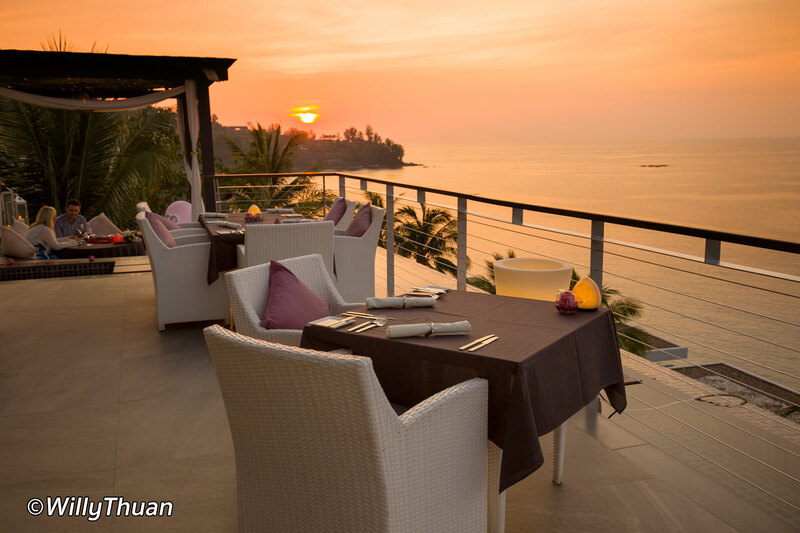 Cape Sienna is a beautiful resort with panoramic views of Kamala Bay designed to take full advantage of the hillside setting. 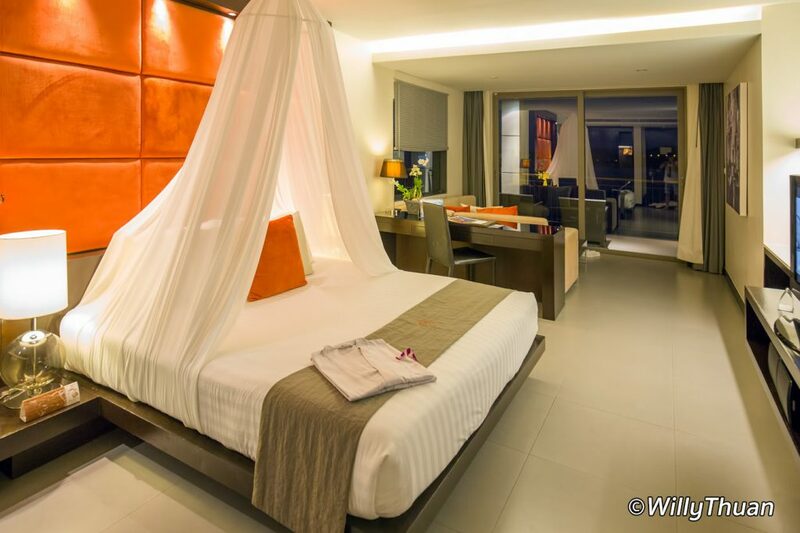 All 146 rooms offer sea view with large private terrace; most have a Jacuzzi or even a private pool. 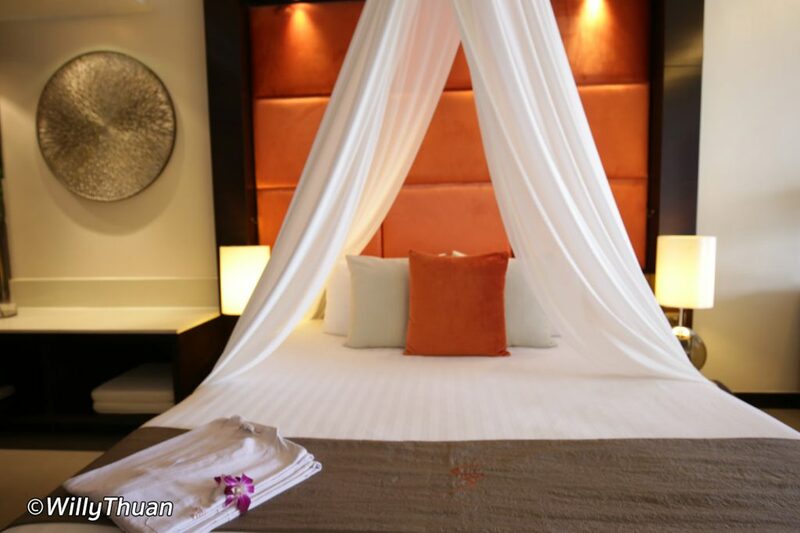 It is a hotel for a romantic holiday, and while the hotel doesn’t have beach access, a free shuttle can take you to one of the two beaches nearby. 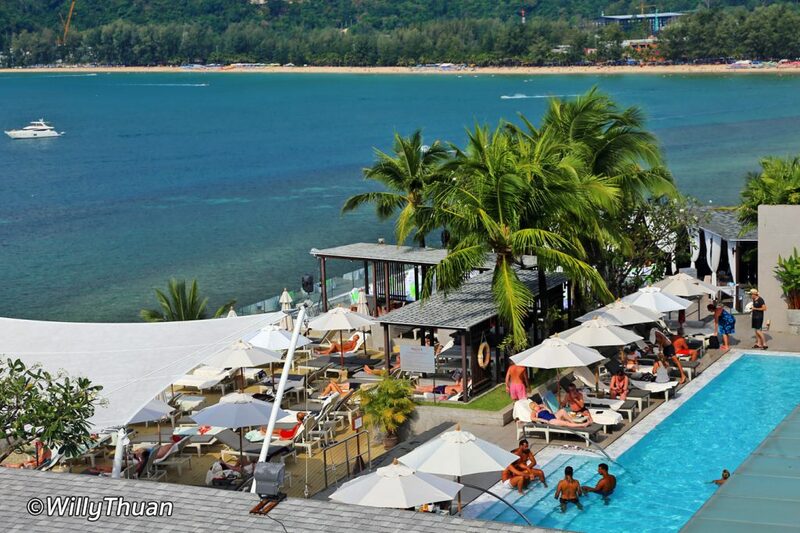 Kamala is one of the most popular beaches of Phuket. With fine sand and clear blue waters, lots of beachfront dining and shopping in the street parallel to the beach, Kamala is particularly popular with returning travellers and families, especially with the Phuket Fantasea park nearby. 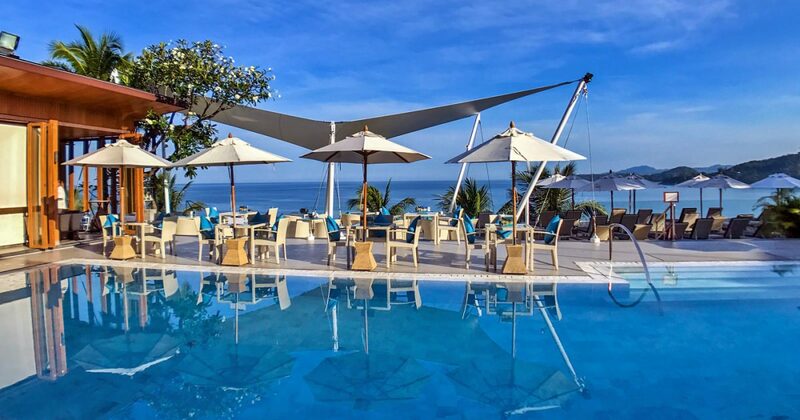 Cape Sienna Hotel is on a green hillside, and wherever you go around the resort, the view is what strikes most. 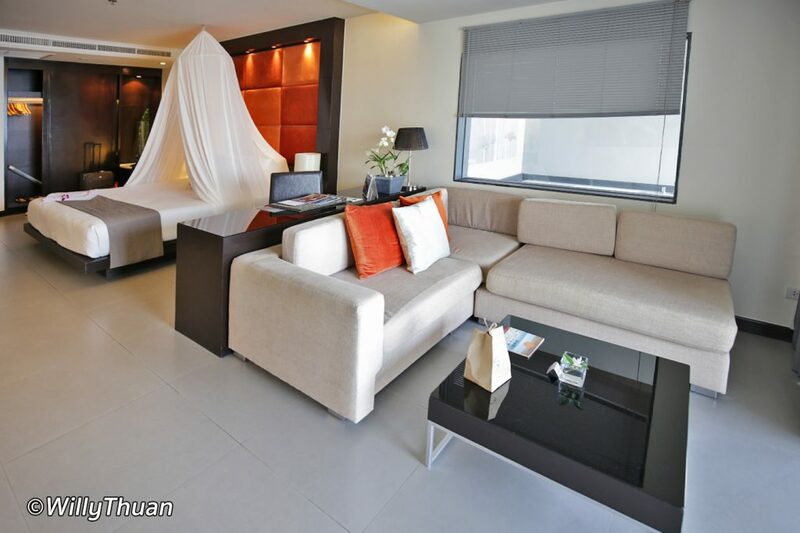 As soon as you enter the lobby, the sea view occupies the entire front. It is evident that the designers took full advantage of it and this becomes even more visible once you reach the swimming pool. Wherever you stand, there is a photo opportunity. 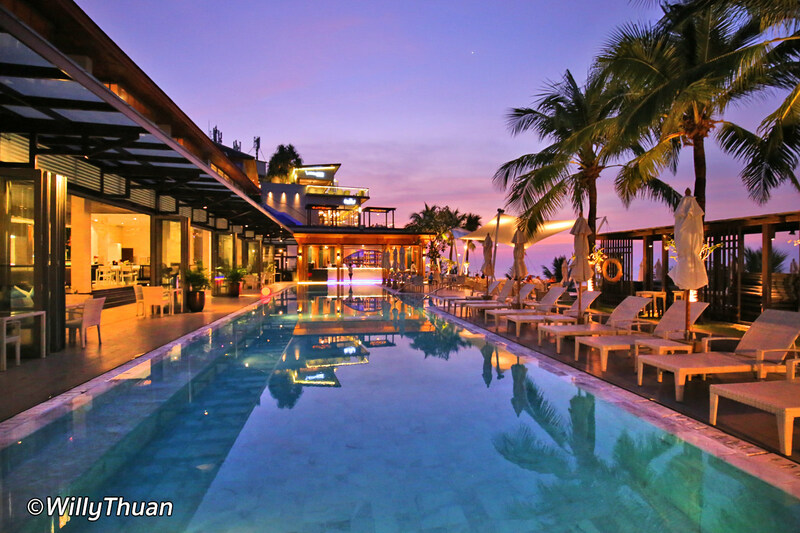 The two restaurants and the rooftop bar are the final highlights. 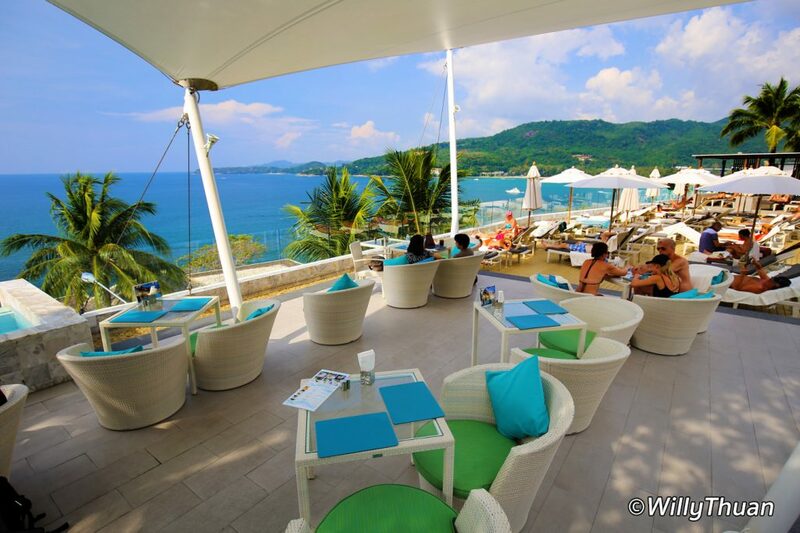 Vanilla Sky offers a stunning and unobstructed 180-degree panorama above the bay, with Rayee Beach on the left and the main beach of Kamala on the right. The bar is large enough to accommodate everyone but of course, better come a little early to get the best seats. 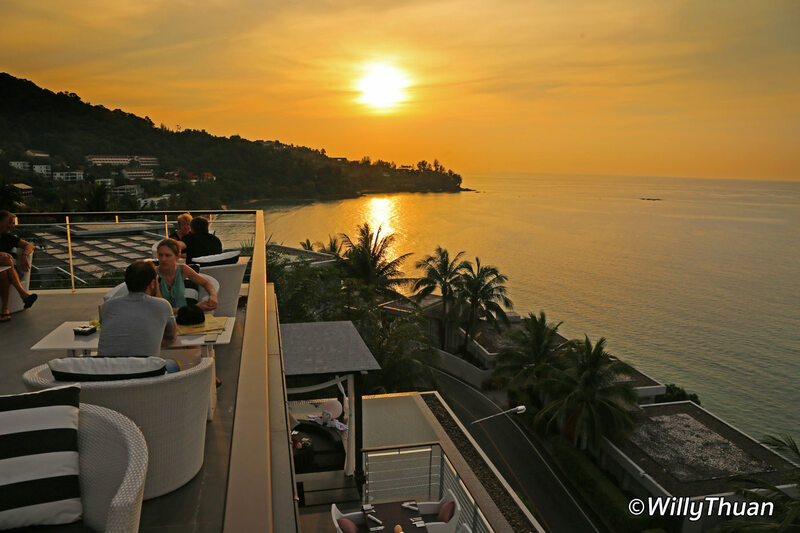 Sunsets are usually around 6.30 pm, but you can quickly check google for the exact time. Below Vanilla Sky is a supposedly excellent steakhouse called Plum Premium Steakhouse. We didn’t get to try the food, but the setting is fantastic here too, especially if you book one of the small Sala (an open pavilion) set into the water. It’s so romantic that you can even ask a unique romantic decoration if you wish to ask the big question. We met a young couple doing just this, and she said yes! The sunset was so fabulous on that day it was irresistible. 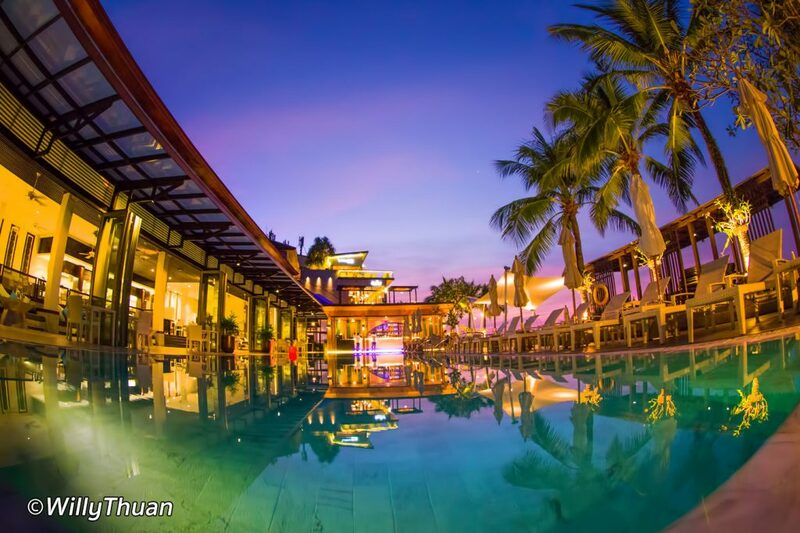 The Poolside Bar and Restaurant is where you will enjoy an extensive buffet breakfast, it’s bright, spacious and feels like a perfect place to start a holiday. 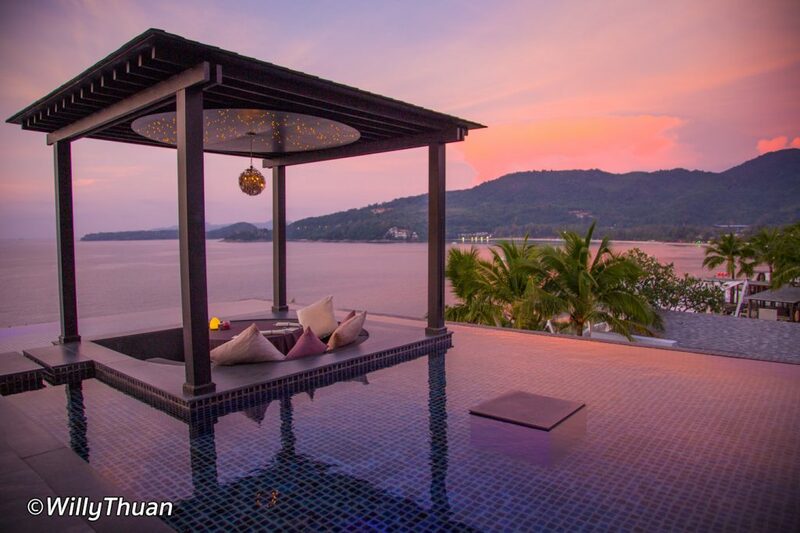 Cape Sienna, of course, has a superb spa with sea view treatment rooms with the comprehensive selection treatment you can expect from one the most romantic hotels in Phuket. We booked a Sea View Deluxe with Jacuzzi. The room is not huge but very well designed, with a very convenient working station facing the sea, which we found super convenient. The outdoor Jacuzzi is large enough to accommodate two persons and private enough you don’t have to worry about your neighbours. The best is to face the ocean while having a bath. There are a lot of things to enjoy at Cape Sienna, and the views come first of course! 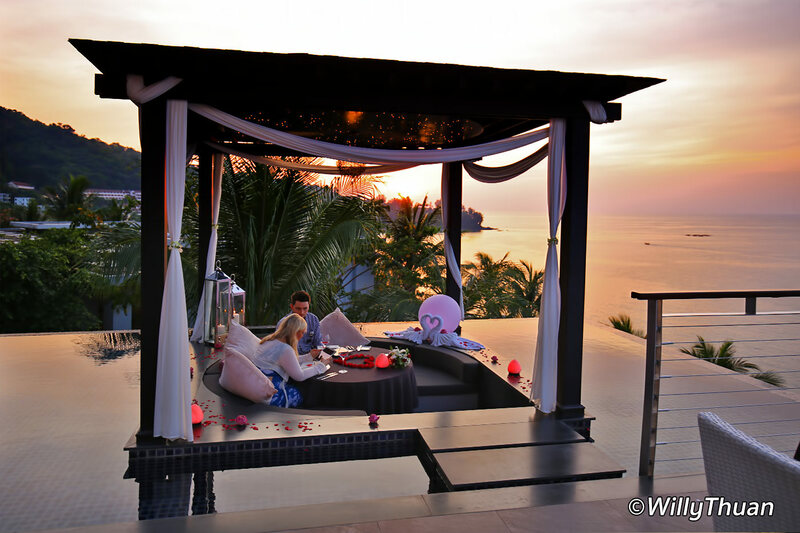 The amazing Vanilla Sky rooftop bar and Plum romantic Sala! The staff looked a little tired. Maybe the hotel was full, but Thai hospitality is so famous and so much part of the experience, it was a bit surprising. The other guests we met also noticed it and the game was to try to make a joke to make them smile. Maybe the hotel was running full occupancy for too long. Anyway, it got better as the staff started to recognise us. The parking is extremely limited so if you come by car and can’t find a spot, well good luck. Cape Sienna is not recommended if you have mobility issues. Nothing is challenging though since they have elevators here and there but still some slopes and stairs to deal with.